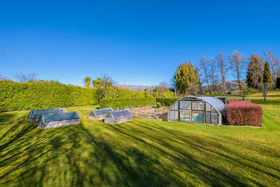 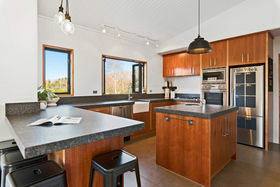 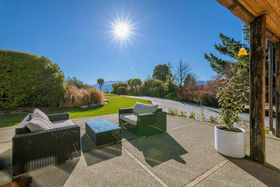 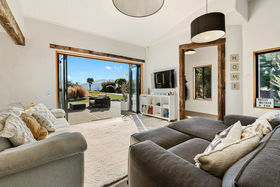 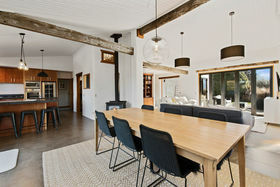 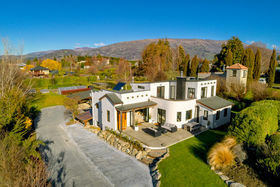 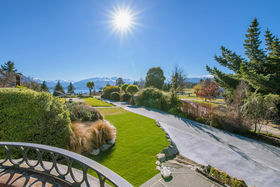 Proudly positioned in Wanaka's dress circle and adjacent to the golf course, you'll just love the stunning panoramic outlook and proximity to town this chic, character home offers. 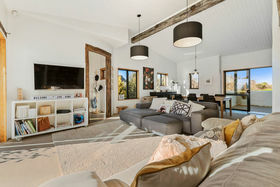 Alive with attitude and impressive in its design, the high ceilings and timber features offer a sense of space, elegance and style while delivering a welcoming earthiness the moment you step inside the door. 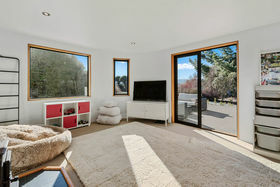 Sunny and spacious dual living rooms connect seamlessly to the outdoor entertaining areas and a generous kitchen, overlooking the garden and orchard, provides a huge walk-in pantry with plenty of functional space for the enthusiastic home chef. 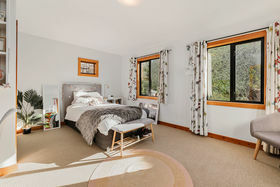 As you would expect in a home of this calibre, the upper-level master bedroom offers a large ensuite bathroom and walk-through wardrobe. 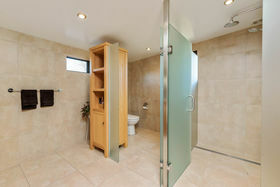 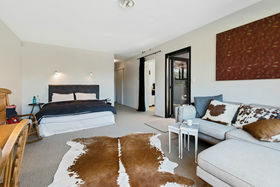 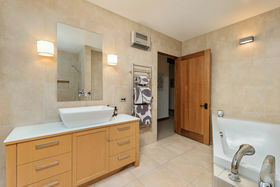 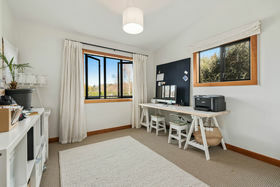 An added bonus is the adjacent room, ideal as an office or sitting area, with its own balcony and stunning lake views. 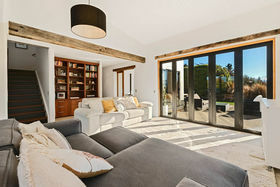 The current owner's favourite feature is a temperature-controlled diesel boiler which keeps the entire home so warm they seldom need to light the large woodburner. 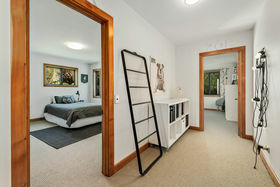 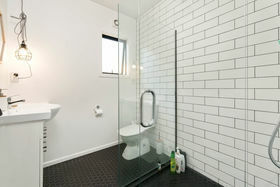 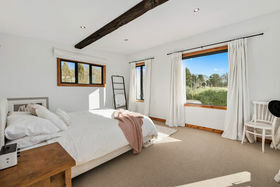 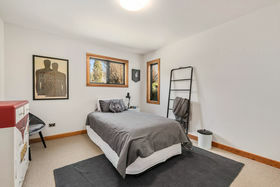 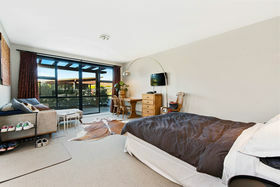 On the lower level, a granny flat provides options for extended family or homestay arrangements while other extras include a separate laundry, large internal access single garage, double carport and off street parking in abundance. 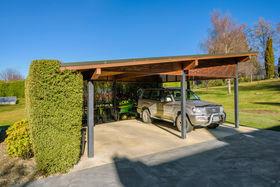 Recent zoning changes allow potential subdivision of the land so enjoy the space and privacy now, bank for future years or downsize and on-sell a vacant rear lot in this current busy market. 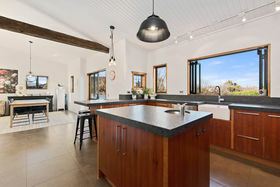 This sought-after location is hard to beat and with so many more features to this distinctive home, viewing is a must to appreciate. 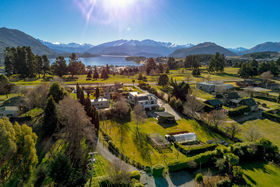 Seize this fantastic opportunity to secure permanent or holiday living in one of New Zealand's fastest growing resort towns and call us today.